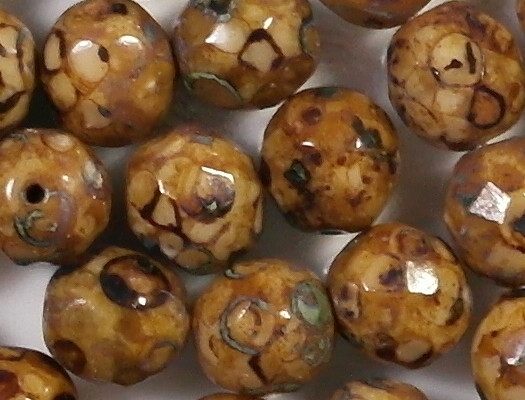 Size/shape: 8mm round with facets. 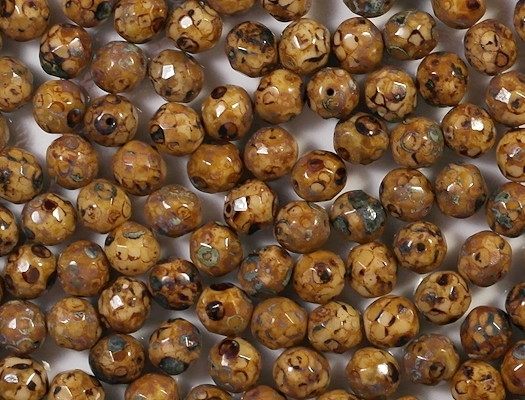 Colors/description: Beige or ivory-colored beads with a heavy brown mottled "picasso" coating. 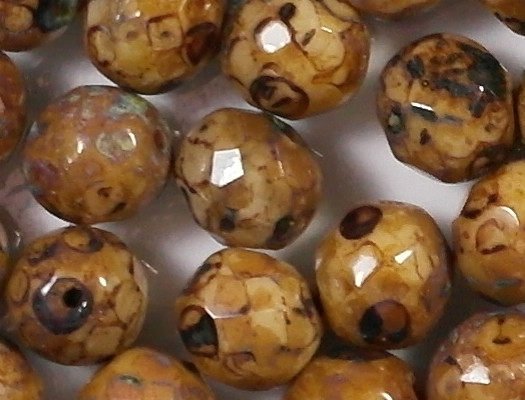 Defects: The beads appear to be in good shape, though I noticed that some beads look slightly oval instead of round. 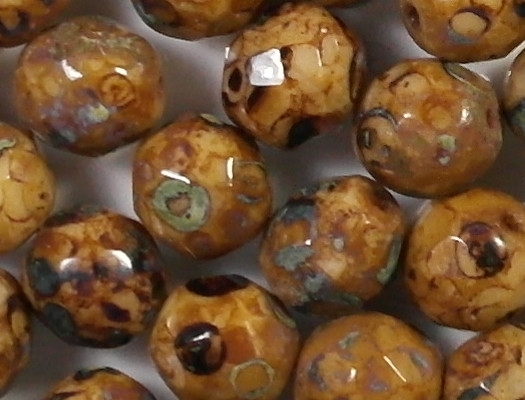 Fire-polished faceted beads always have some imperfect facets, though in this case the facets are in pretty good shape. How photographed: Under two daylight-balanced lamps. Note: The close-up shots may show defects that the human eye can't discern. 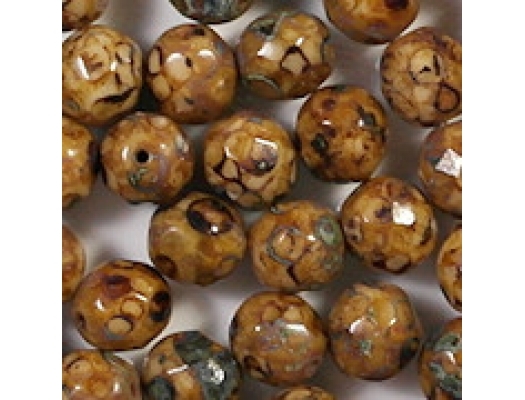 Comments: These beads are from my supplier of premium beads, which is one of the reasons they are so expensive. I got them on sale. If I restock them at some point, their price will go even higher. 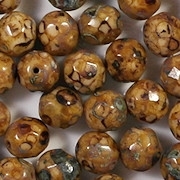 I think they are very attractive, although beige beads with a brown picasso coating is a fairly common combination.